Zero-G Racer Antigraviator launches Viper Trails DLC. The first DLC for their hyper-fast racing game Antigraviator today. 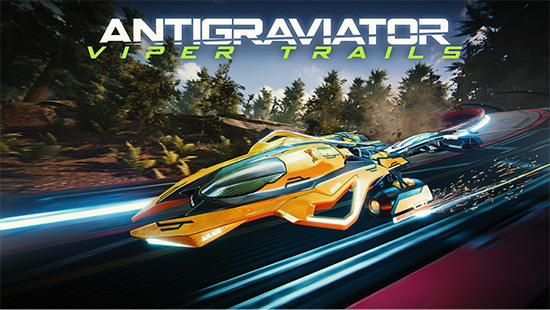 Antigraviator is an online multiplayer and single player racing game set in the far future where anti-gravity racing has become a sport complete with dazzling scenery, high tech machines, and unlimited speed. The DLC, titled Viper Trails, is out now on Steam and other digital retailers at an SRP of $5.99, offering a 10% discount for the week of launch. Customise your Grav to your heart’s content, but choose wisely: deciding on one upgrade may mean compromising on another. Strategically tailor-make your Grav to gain the upper hand in races or face the crushing prospect of defeat. In addition to the customization options, unlockable skins will be available free of charge.